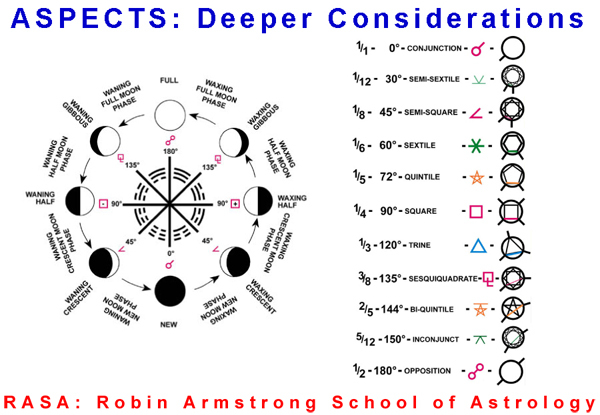 The theory of aspects and planetary association: A fundamental approach to aspect interpretation is presented. The eight phases of the aspect cycle are elaborated. This includes a deeper understanding of the moon phases, and aspect relationships to the zodiac. The minor aspects are assessed and the possibility of 360 unique aspects are presented. The aspect wheel and phases are used to assist the student’s perspective.